The FO(ID) logic is an extension of classical first-order logic with a uniform representation of various forms of inductive definitions. The definitions are represented as sets of rules and they are interpreted by two-valued well-founded models. For a large class of combinatorial and search problems, knowledge representation in FO(ID) offers a viable alternative to the paradigm of Answer Set Programming. The main reasons are that (i) the logic is an extension of classical logic and (ii) the semantics of the language is based on well-understood principles of mathematical induction. In this paper, we define a reduction from the propositional fragment of FO(ID) to SAT. The reduction is based on a novel characterization of two-valued well-founded models using a set of inequality constraints on level mappings associated with the atoms. 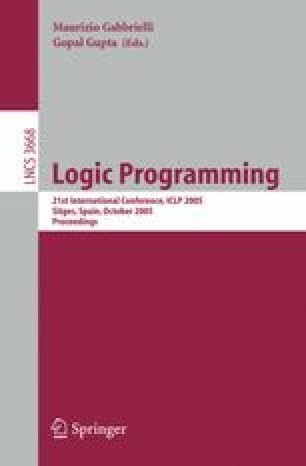 We also show how the reduction to SAT can be adapted for logic programs under the stable model semantics. Our experiments show that when using a state of the art SAT solver both reductions are competitive with other answer set programming systems — both direct implementations and SAT based.